> I’m ashamed that with all the time I’ve spent laughing at, and enjoying the internet, that I have yet to pay my respect to the internet with a proper GIF. Reason being is the GIF-making process just seemed like it was way too involved. That, and I haven’t found anything to ignite my passion. Then Jeremy Lin went and did something awesome (TWICE) and I wanted an easy way to turn a short clip of a YouTube video into a GIF, so I could spread the Jeremy Lin gospel virally. I downloaded and installed Instagiffer, which is free software (is there any other kind?) 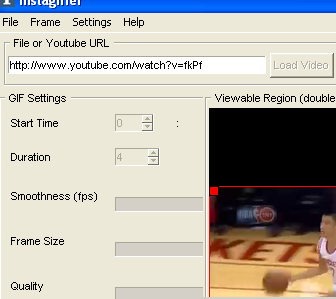 that allows you to create GIFs from a YouTube video with no technical knowledge needed. The interface isn’t going to win any design awards (maybe it’s a retro Windows 95 Instagram filter? ), but the program is intuitive and gets the job done. Just add your video (you can upload or paste the YouTube URL). Choose where you want the GIF to start, how long the GIF will be (duration), the size, quality, smoothness, brightness, and playback rate of the GIF (the higher the bigger the file size), press “CREATE GIF!” then wait*. It’ll take a few minutes to create your GIF, depending on the size, duration, and quality of your file, and once finished, it will spit out the GIF file onto your desktop (insta.gif). * As you choose the attributes and duration of your GIF, as well as when you hit “CREATE GIF!” the software buttons will be grayed out and the program will behave as if it froze – it hasn’t. That’s just instagiffer working in the background, so be patient. 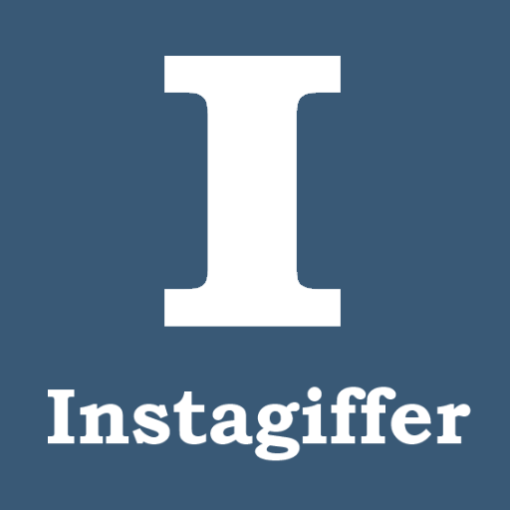 Instagiffer also sends you a little reminder about file limits on Tumblr and Imgur – Instagiffer is the sweetest, most thoughtful little Youtube-to-GIF program! I love you, kiddo! Start an embedded YouTube video at a specific time Restricting a WordPress widget to only display on the homepage Forget WordPress Plugins, Use IFTTT for Tweets, Instragram, Facebook, Etc.